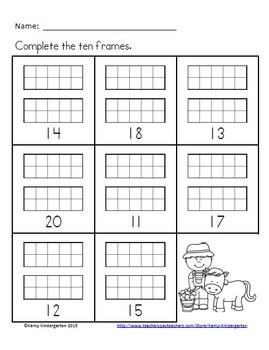 Farm Ten Frames No-Prep Printables contain 36 ten frames no-prep printable pages for your learners to practice counting and labeling quantities of 11 to 20. This packet offers 2 different ink friendly formats to provide differentiation opportunities to best meet your learners’ needs. With the first format option, learners write the numeral for the quantity represented by the ten frames graphic. The second format option allows learners to complete ten frames for a given numeral. There is a farm themed line art graphic printed on each page. There are farm kids, tractors, pigs, cows, chickens, goats, horses, and farm buildings. Eighteen pages have eight spaces with ten frames and a response blank printed in each space. Learners determine the quantity represented by the ten frames. They write the corresponding numeral in the response blank. Eighteen pages have eight spaces with blank ten frames and a numeral printed in the space. 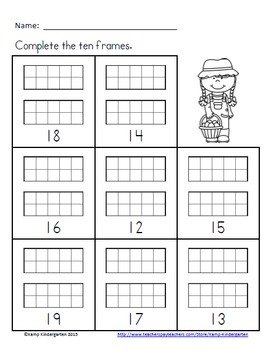 Learners complete the ten frames by coloring in the squares or drawing the correct number of dots. Learners needing a more tactile approach may dip the tip of a cotton swab in paint and dab the correct number of dots in the ten frames. 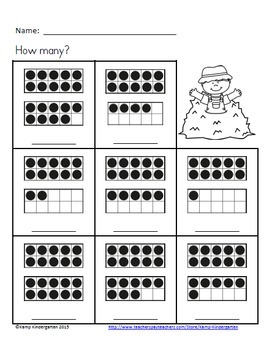 Farm Ten Frames No-Prep Printables help learners develop numeracy and support the Math Common Core Standards for Counting and Cardinality. 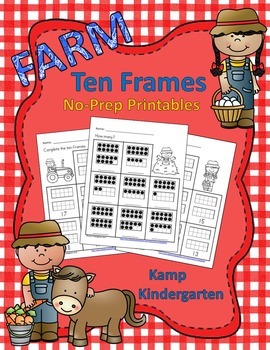 The graphics for Farm Ten Frames No-Prep Printables are from Whimsy Clips, My Cute Graphics, and Zip-A-Dee-Doo-Dah Designs. Thank you for looking at Farm Ten Frames No-Prep Printables. I hope you and your learners enjoy this resource. Please click on the links below to view other resources you may enjoy.